Our site provides home and school access to course resources. We are using Google Classroom. So students should download the app to their device. We'll help them to get set up. Classroom is an exciting and flexible way for students and parents to keep up to date. Thanks to Dominic Walliman for this video. Call the school (01577 867 100). summary notes etc that you can view/download for free. NEWS!!! Next Sessions Term Dates NEWS!!! S4 practice problems with solutions here. S4 new past paper problems by category...bottom middle of S3/4 Lessons page. School poor weather arrangements are here. 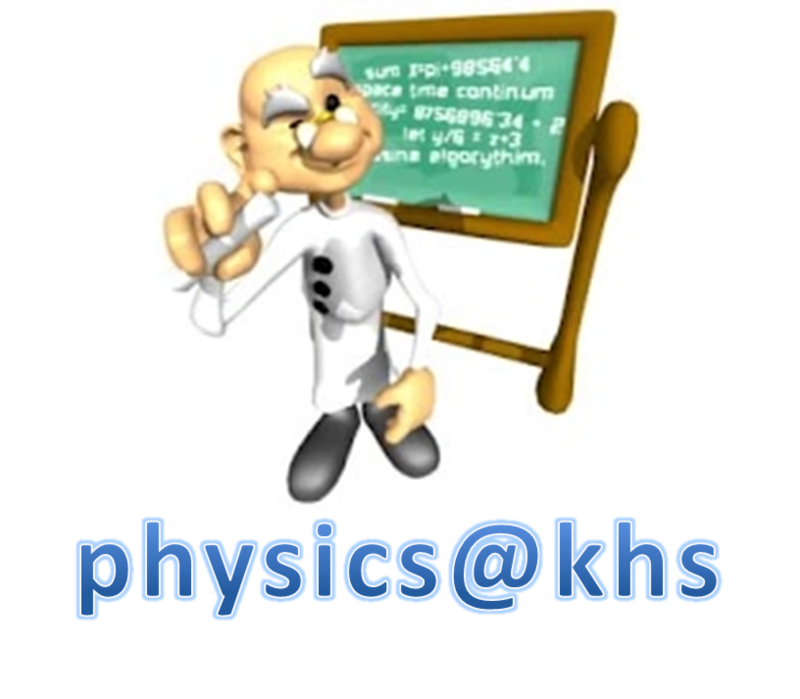 Don't forget about the VIRTUAL PHYSICS RESOURCES, a brilliant flash resource to help you revise for your National 5 or Higher exams. This works on computers and has been paid for by the local authority. If you'd like access to this resource take a pen drive to class and ask your teacher. Flash Learning resources for National 4, National 5 and CfE Higher Physics courses.